Just over an hour south of Albuquerque lies one of the premier bird photography locations in the United States. [wikipop]Bosque del Apache[/wikipop], a National Wildlife Refuge, is host to over 300 different bird species. I’ll be the first to admit that I’m not normally a bird photographer, but a local photography Meetup group planned an outing there last Saturday and it sounded like fun. 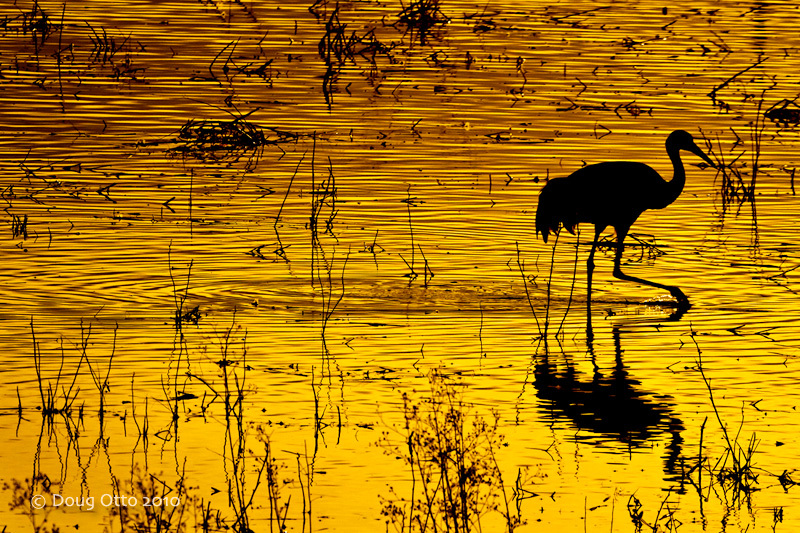 This entry was posted in Photography and tagged bird, bosque del apache, Canon 100-400, Canon 7D, doug otto, golden, Photography, reflection, sandhill crane, sunset, water. Bookmark the permalink.